Sir Peter Ellwood and his family moved to Northamptonshire when he joined Barclaycard, having worked for Barclays Bank in the City for several years. After Barclaycard he moved to the TSB Bank rising to the position of Group Chief Executive of the Lloyds TSB Group. 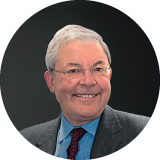 After retiring as a banker in 2003, he became Chairman of ICI plc and subsequently Chairman of Rexam plc. He was also for many years Chairman of Visa International. His focus now is on the charity sector: he is a Non-Executive Director of St Andrew’s Healthcare, and recently completed his tenure as Chairman of the Royal Philharmonic Orchestra Advisory Council. He describes himself as an extremely ordinary, if enthusiastic, violinist and a great fan of the Northampton Bach Choir, with whom he is very proud to be associated. Peter was Knighted in the 2010 New Year’s Honours List, and holds honorary doctorates from Leicester University and University of Central England. The Northampton Bach Choir is delighted and honoured to have Sir Peter Ellwood VLL as our President. Sir Peter is our figurehead in the region, and a genial and hands-on presence at our concerts and events. The choir is administered by a voluntary committee made up of choir members. The committee is headed by the Chairman, with Secretary, Treasurer and Concerts Manager as officers; the Musical Director serves on the committee ex officio. The committee meets six to eight times a year, and is responsive to feedback from choir members, our ‘Friends’ and our audience members. 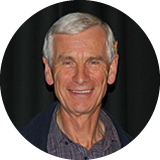 David Tristram is a retired secondary head teacher, with a background in Classics and Ancient Civilisation, who now works with the University of Northampton. 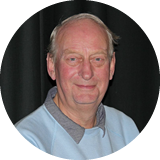 Although blues music is still a passion, David got the choral music buzz as a founder member of the Wisbech Choral Society and after singing with Louth Choral Society, he graduated to the real thing with Northampton Bach Choir. Despite having no formal musical training, he is now Chairman of the choir, leading the direction of the organisation and overseeing all aspects of its administration. 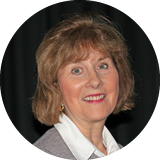 Sheila Moakes is a retired Director of Nursing who worked extensively in the Middle East and now has her own consultancy company in Health Care Planning and Equipping. Sheila came to singing through a small church choir and sang with numerous choirs in whichever expatriate community she found herself. She enjoys a wide variety of music, from popular (she listens to Radio 2 on car journeys) through Jazz and Rock, and now sings tenor with NBC. In her retirement she is now studying the Theory of Music and plans to sit her ABRSM exams. As Secretary she is responsible for the paperwork associated with the day-to-day administration of the choir and directing enquiries as appropriate to the query. Timothy Daily has been singing Choral music for over 30 years and holds the Royal School of Church Music’s Bishops award. He currently sings in the church choir of St Peter & St Pauls Church Olney as well as singing with the Northampton Bach Choir with his wife Jenny. They have two daughters and four grandchildren. 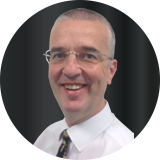 Professionally he is a Financial Adviser and an Estate Planning Consultant owning and running with his wife two Companies specialising in Financial Services and Legal Services which are both based in Milton Keynes. Mark Gibson started singing in choirs at the age of eight, and joined the Northampton Bach Choir before going up to University in Nottingham, where he sang in the University Choir under the baton of the extrovert Ivor Keys. Mark later rejoined the Northampton Bach Choir, and has been privileged to sing under such maestros as John Bertalot, Michael Nicholas and Stephen Cleobury. He conducts his own chamber choir and has acted as chorus master training church choirs, the New Phoenix Chorus and the Wensum Camerata. His professional life was spent as a chartered Civil Engineer and when not involved in music activities he has a particular interest in a preserved narrow gauge steam railway in mid Wales. Crawford Craig is a retired secondary maths teacher. Crawford sang in his school choir as a pupil and then, except for occasional lapses, did not sing again until after he retired, when his wife persuaded him to join the NBC. Taking a voice test (which involved singing to a proper musician he’d barely met!) was a major psychological hurdle. In truth, of course, the hurdle was inside his head, and Lee was as friendly and encouraging as it was possible to be. Since retiring Crawford has become a proud grandfather, a keen cyclist and an active member of Spratton Local History Society. Judy Ellwood has taught in colleges, run day courses in her home on a variety of topics and taken groups to Italy looking at art. She is now a key fundraiser for the British Red Cross in Northamptonshire. She had piano lessons as a child, but liked “playing by ear” far too much! She has sung with a number of choirs, but for over twenty-five years she has loved learning and performing beautiful music with the Northampton Bach Choir. She enjoys looking after the Friends’ of the Northampton Bach Choir – over eighty members and rising! – and is committed to nurturing the valuable contribution they make to the choir and its activities. 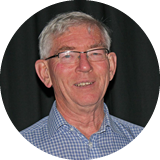 Alan Robertshaw is semi-retired, having spent his working career in the global food industry. The sum total of Alan’s musical training is one week as a child at a Royal School of Church Music residential school and one week in his forties at the School of Piping in Glasgow. All the rest is from singing in choirs. The bagpiping gets put in whenever there is no-one around to object ... which isn't often! 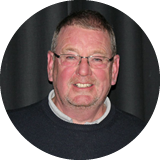 Alan is an enthusiastic gardener and sings bass with NBC and tenor with a choir based in Harpole. He currently looks after sponsorship and fund-raising on the committee, aimed at bridging the impressive gaps between cost and revenue for most of the works in the choir's ambitious repertoire. Liz Baird has sung with the Northampton Bach Choir for many years, and has enjoyed the challenges thrown up by successive Musical Directors. She has also relished the great variety of music performed by the choir, from Renaissance Madrigals and Baroque masterpieces, right up to the most modern pieces, including pieces written especially for the choir. 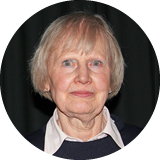 She works alongside our Membership Secretary to ensure that the difficult job of placing all the singers in situ for concerts works smoothly and efficiently, and ensures that our Health and Safety policies are in place and all our venues risk assessed, for performers and audience alike. Hilary Spenceley has been making music since an early age. She has sung in a choir at every stage of her life, beginning with infant school, church and progressing onto small chamber choirs and large groups. Education has also featured throughout her life, as pupil, teacher, LA officer and governor. 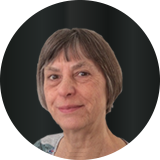 Hilary has enjoyed being a member of the Bach Choir for over 35 years and is grateful for the wide repertoire to which the choir has introduced her. 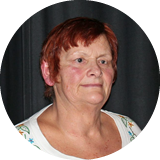 After so many years of receiving, Hilary would like to offer some of her time and energies back to the choir by serving on the committee.